Hey guys!!!! How are you! I hope you are all having a wonderful month so far, we are almost half-way through! Comment down below and tell me what you are doing for Halloween or if you are dressing up. I am going to be Meg from Hercules. So lately I been doing a lot of school and it's actually a little better than last year. To be brutally honest, last year I was a bit of a slacker, and while my Latin situation was not ideal, I can't blame all of last year on that. I had a pretty rough winter, what with my grandma dying somewhat unexpectedly and then a week after her funeral we left on a 4 day (round trip) drive to Washington DC for the March for Life where I think I hurt my knee and had a really rough time walking around DC. I'm so grateful for my amazing teachers who were all so understanding, however, I know I could have done better. Because of how behind I was, I started procrastinated on school (because I was lazy) then I got more behind and piled up, which resulted in me cramming on everything and just trying to pass classes, which by my standards is getting Bs. So last year was a really crappy year, which scared me a lot. What with college prep coming up, I definitely feel the pressure to get good grades and stay on top of anything. So I resolved to take good, thorough notes and submit every assignment the day the assignment was due. I took that super seriously during the first maybe 10 weeks which resulted in me exhausting myself and, honestly, working way too hard. I laid of a little bit so I wasn't over-working myself, but still getting good grades and working hard. So this year has, so far, been much better than last year. Speaking of college, Mom and I are going to Atchison, Kansas to visit Benedictine College. I'm interested in a major in Communications and they also have a minor in Film Studies. I'm also interested in Ave Maria (in Ave Maria, Florida) , they also have a major in Communications and also a minor in Family and Society, which I thought would be VERY beneficial for when I have kids/start a family. Lastly, St. Katherine's in St. Paul, Minnesota has a major in Communications and also Family and Consumer Science. That encompasses both the family and the blogger/I-don't-know-what-to-call-it-but-I-have-it-in-my-head. So those are my college thoughts. I haven't been doing any activities outside of school for various reasons. I stopped taking piano lessons. It wasn't that I hated piano and it also wasn't because I didn't like my teacher. My piano teacher was amazing, and I love her teaching techniques. I honestly think, she is the best piano teacher I know and it would be hard to top her. The are a few, simple reasons why I stopped taking lessons. A) College is coming up. I'm not planning on majoring in any music, so I want to focus on getting ready for it. B) I wasn't feeling the motivation to keep working and pushing ahead. I was feeling like a machine plunking out notes and not feeling any passion towards the music. Many pianists (or any musician) go through this, but normally in phases. I've gone through phases of not enjoying it, but this one was lasting something around six months, which is crazy. I decided to take a break. I'm super glad I did. I still play a little here and there, in fact, because I took a break, I'm so much happier playing now than I was. I'm working on Perfect by Ed Sheeran. (but the piano music is by The Piano Guys) If any of you are curious about a good sheet music website, I can tell you about one. So that's a little bit about my life right now; I hope you enjoyed it! Tell me a little about your life! So. 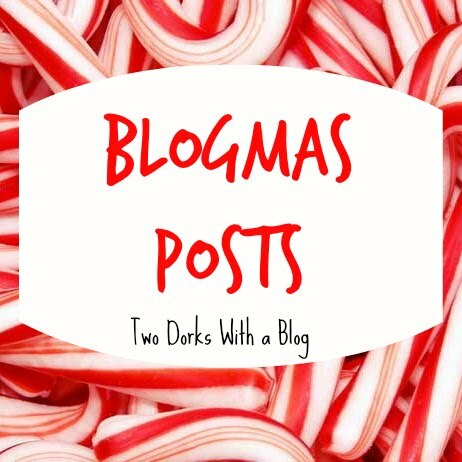 Last year you may remember that we did Blogmas. This year we won't be doing it. It was so much fun and I loved all the festive everything, but it was sooooo much work. I think with less posts, the festivity in each post will be upped a bit.